Manu Diaz was born and grew up in Lugo, Galicia, Spain. 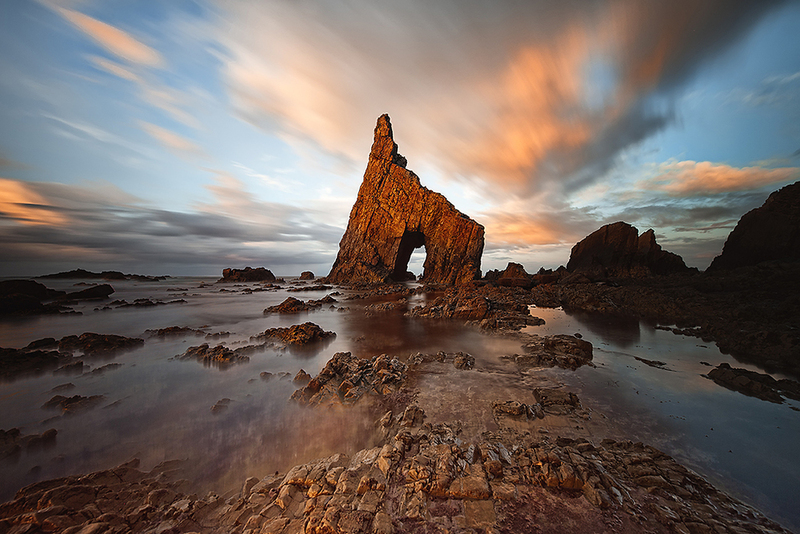 His passion for landscape photography started when he first visited the "Beach of the Cathedrals" on Lugo's coast and soon after decided to buy his first camera. In 2008 Manu started gaining recognition in his community and his career began to flourish. In 2009 he decided to leave his job to start his new venture called "Manu Diaz Emotive Photography" where he focuses on weddings all across Europe. His personal work is centered in landscape, urban and architecture photography. He frequently uses the long exposure method, because it gives a very personal and minimalist touch to the images. Manu Diaz is also sponsored by the Spanish company Lucroit, manufacturer of the 165mm holder for monoblock lenses. "The long exposure lets me contemplate and discover two very different landscapes without changing location and framing, and I enjoy twice as much"